The Kong Goodie Bone comes in a great shape for flinging, tugging and chewing, so great for dogs who love the standard bone shape. The bone has a Goodie Gripper on each end so you can stuff with treats or Kong Paste. Please see below for a size guide. 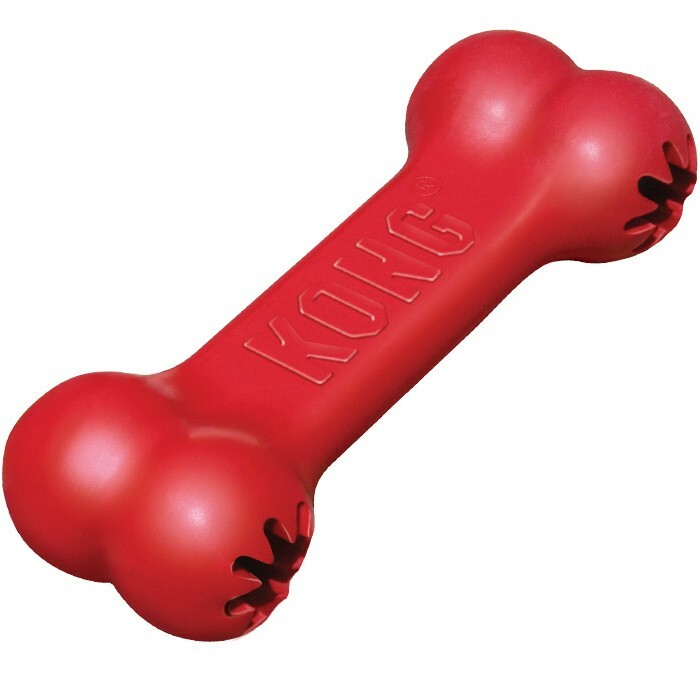 There are currently no questions for Kong Goodie Bone Red Dog Toy - be the first to ask one!